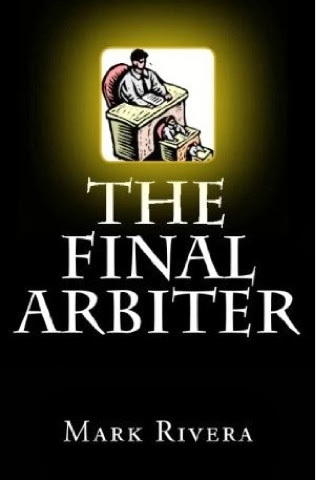 GenreOnline.net: From My Novel The Final Arbiter. "There was no hope for the hopeless and so they were being altered to relieve the burden they supposedly placed upon society by the ultimate merging of cold intellect and malevolent thought. A self aware bureaucracy turned insane because one could sense it as a hive blindly acting out of a perception of selflessness rather than selfishness. The worst evil is blind and ignorant of it's true nature. That is what makes denial truly dangerous."